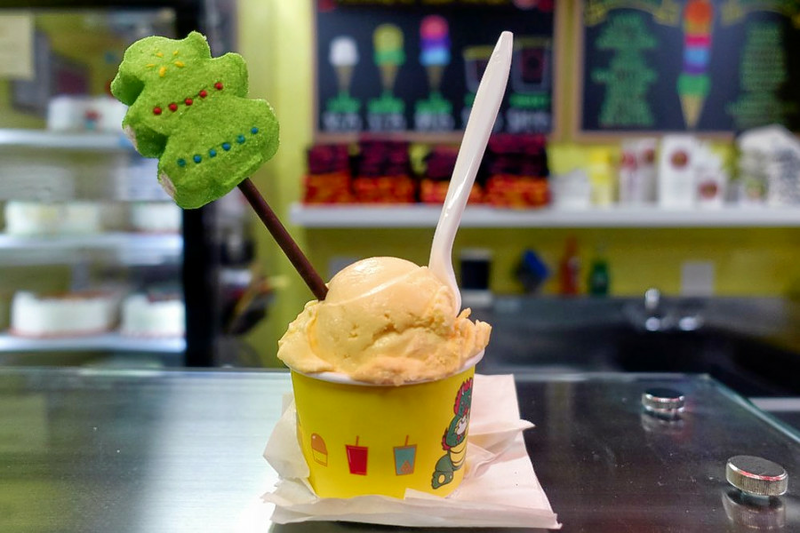 Ice cream and frozen yogurt fans, take heed: there's a new spot in town to get your fix. The fresh arrival to Flushing, called Flushing Ice Cream Factory, is located at 135-15 40th Road. This is the second location in the neighborhood for the Flushing Ice Cream Factory. Flushing Ice Cream Factory has already attracted fans thus far, with a 4.5-star rating out of 19 reviews on Yelp. Flora L., who was among the first Yelpers to review the new spot on December 10, wrote, "This place shares a 'strip mall' with Yi Fang and an upcoming chicken place. They are at the very back! There are a lot of great Asian/exotic flavors here which I like." And Gabrielle P. wrote, "I really enjoyed the ice cream. I got the new flavor, misugaru and cookie and green tea. My friend got the scoop with green tea and lychee rose." Swing on by to take a peek for yourself: Flushing Ice Cream Factory is open from 11 a.m.-10 p.m. daily.